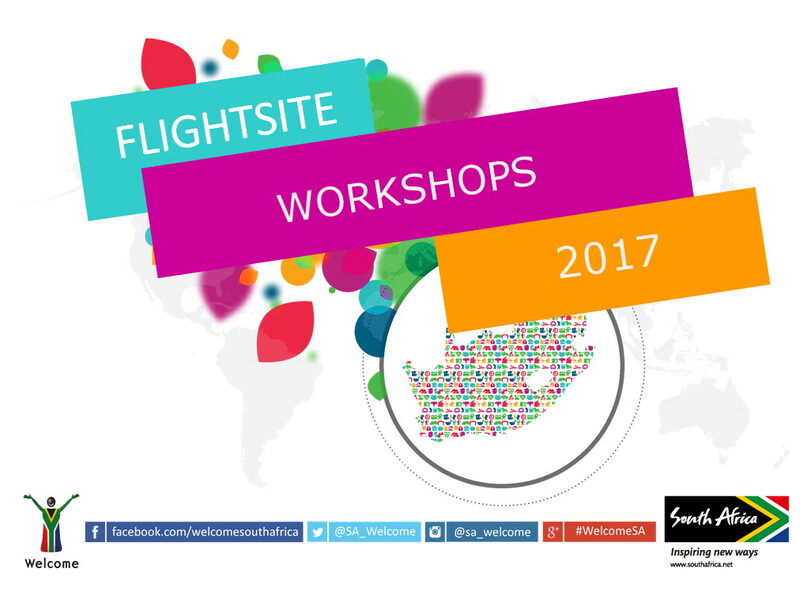 We frequently host FlightSiteAgent workshops in Cape Town, Durban and Johannesburg. The last workshops were held in November 2016. You can find notes on previous workshops here. As an innovative online booking tool empowering entrepreneurs in the travel industry, FlightSiteAgent frequently enjoys media coverage. These articles are often informative and can be valuable resources for those working in the travel industry, covering topics from new FlightSiteAgent products to how the travel industry is changing. 18 November 2016 – FlightSiteAgent founder shares what he believes it takes to become a successful entrepreneur in today’s internet age. Read the full article on www.iol.co.za. 16 November 2016 – Together Zinhle and her husband runs e-Ticketnet which a physical presence in Central Durban. Together they have a built a successful travel agency over the last fourteen years. Read the full article on Durban’s GetIt www.durban.getitonline.co.za. 16 November 2016 – Like many moms, Johanna was looking for an extra source of income whilst still being able to spend time with her young kids. Having almost nine years experience in the travel industry, she was able to start Travel Extravaganza with the help of the FlightSiteAgent team and now attracts both business and leisure travellers. Read this article on www.spice4life.co.za. What is next for FlightSiteAgent? 21 March 2016 – As FlightSiteAgent celebrates 3 years in the industry, Managing Director, Rian Bornman gives an update on the company, how it started and what the future holds for FlightSiteAgent. You can read this article on www.iol.co.za. March 2016 – FlightSiteAgent’s Managing Director, Rian Bornman, is no stranger to starting his own business. Here he shares what he has learnt along the way and how he tackled the basic problems every entrepreneur faces. Unfortunately this article is no longer available online. 15 March 2016 – Despite initial scepticism from the travel industry, FlightSiteAgent has grown significantly with over 500 transacting agents. Manager Rian explains why he thinks the ITC provider has proven so successful within such a short period of time. This article is unfortunately no longer available online. 22 December 2015 – FlightSiteAgent compares the average prices of food, drinks, accommodation and transport in five of the most popular destinations in the East. The resulting infographic will help you find the most affordable holiday destination. Read the full article on www.travel.iafrica.com. 7 September 2015 – You’ll soon be able to book bus tickets through your FlightSiteAgent portal! Coaches are a great option for budget travellers and those looking to travel routes where there are no scheduled flights available. Currently Intercape and Eldo busses are bookable online along with several other. Read the full article on www.bizcommunity.com. 11 March 2015 – Digital marketing specialist, Priya Unger, shares ten tips on how to market and promote your independent travel agency on social media. Read the full article on www.bizcommunity.com. What makes a good travel agent? 18 February 2015 – FlightSiteAgent MD Rian Bornman shares his top ten tips to becoming a successful travel agent. This includes tips on how to create a good customer experience, how to build trust with your client and how to create a connection. Get the full article on ETNW. 8 December 2014 – The travel industry is constantly evolving, shifting from brick-and-mortar stores to online and most recently from PCs to Mobile phones. Along with this peer-to-peer review sites are replacing travel guides. In this shifting world, it is important to carve your own corner to remain relevant. Get the full article on www.bizcommunity.com. 5 December 2014 – Much like most other industries, travel is constantly evolving. FlightSiteAgent’s Rian Bornman shares how the changes like mobile bookings and peer-to-peer review sites are changing the industry. Read the full story on www.themarketingsite.com. 2 September 2014 – Without any strict requirements like a formal education or travel experience, FlightSiteAgent enables entrepreneurs to start their own travel business without any hassle. It encourages people to sign up and try the easy-to-use platform by selling to friends and family. No fees or expectations. This article is unfortunately no longer available on www.tourismedition.com. 21 Julie 2014 – As a young mother to five boys, Ramona El-Boustani was looking for a way to keep her love for travel alive whilst also making a few extra bucks. FlightSiteAgent enabled her to start her own travel agency despite the fact that she had no formal travel experience or start-up capital. Get the full article on www.mzansilife.co.za. Considering a new career? FlightSiteAgent might be the answer! 19 May 2014 – Working in a dreary office environment isn’t for everyone! If you have a passion for travel, are interested in carving your own career and taking charge then starting your own travel agency with the help of FlightSiteAgent might be for you! Read the full article on www.2oceansvibe.com. 17 March 2014 – Having launched just over a year ago, FlightSiteAgent exceeded all expectations. The target of 3000 sign-ups for the first three years was reached within the first nine months and it became clear that the agents wanted more products to sell. Read the full article on www.bizcommunity.com. 13 March 2014 – FlightSiteAgent provides people with no travel experience to make a living as a travel agent, whether part time or full-time. Although critics were initially doubtful whether inexperienced entrepreneurs could become successful travel agents, it has become clear that through the support and training provided the platform can enable many to make a successful career as a travel agent. Read the full article on www.news100.co.za.